In June and July, we are formally launching our re-modelled showroom at 1 – 2 Church Street in Haddington. It’s been re-designed to demonstrate our globally inspired, locally acquired interior design solutions for kitchens, bathrooms and bedrooms. From vintage classics to cool contemporary styles, choose from Grohe, Utopia, Mereway, Bagno Design, April Showers and Corian, or a completely hand-crafted solution. Our bespoke wardrobes, manufactured by Forever Spaces in East Lothian, create space and banish clutter, providing storage where you need it most. We offer 3 different, costed design options using 3D and 4D walk-throughs to help you visualise what suits you best. We want to thank you, our East Lothian customers, for your valued support. So, to celebrate the launch of our new showroom and last year’s successes, we are offering complimentary bubbly at all design appointments in June and July. When it comes to project managing your installation we want to ensure that you’re happy at every stage of the process. That’s why we develop our own team of designers, fitters and project managers. 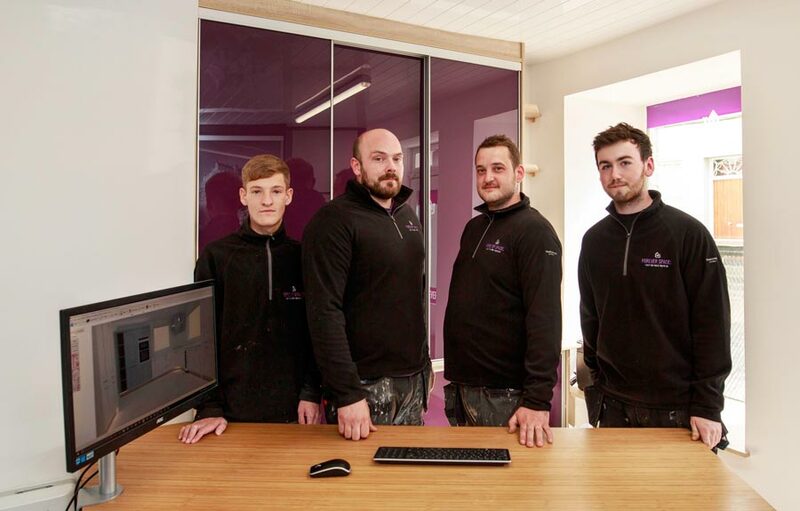 In fact, Forever Spaces is one of the only East Lothian designers and installers to employ and train apprentices; meet Jack in Plumbing and Aiden in Joinery. Inspiration is key and we have enough here to help you make your home the one you’ve always dreamt of. We want you to ‘Love the home you’re in’. Please visit our showroom to see what’s possible; join us for a coffee or some bubbly at your complimentary design meeting.